Experience in PHP or JS development is preferred, but not essential. Work from anywhere you want. Flexible schedule based on your needs. A great team environment with open communication channels. Feel the excitement of improving the lives of tons of people around the world. If this sounds like the perfect job for you, please use the form below to apply. Applicants selected for a follow-up interview will be contact directly on the email address provided, so please make sure it’s an inbox you monitor closely. 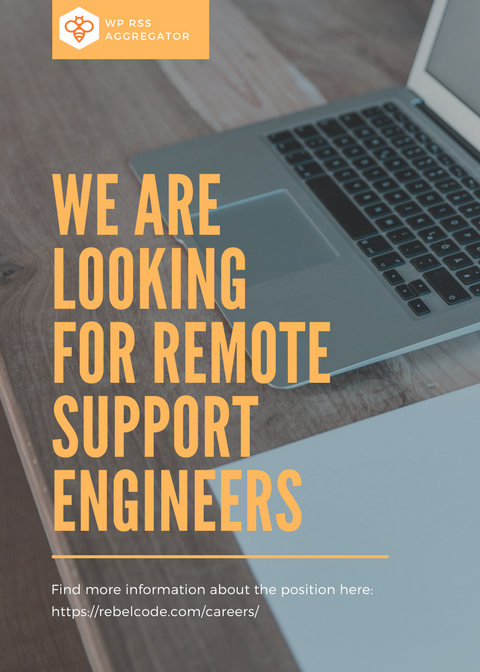 We are looking for a new support engineer for our WP RSS Aggregator plugin project, and other plugins we have in the pipeline.